Helghast or Sith? 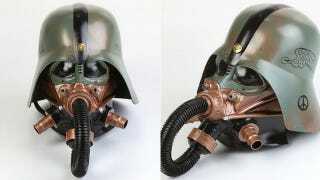 | "Apocalypse Vader," is one of 24 custom Darth Vader helmets going up for auction on Feb. 7 by HalloweenCostumes.com, (along with "Skevader," by artist Ryan Renders, featured here in December). Proceeds will benefit two Minnesota charities.